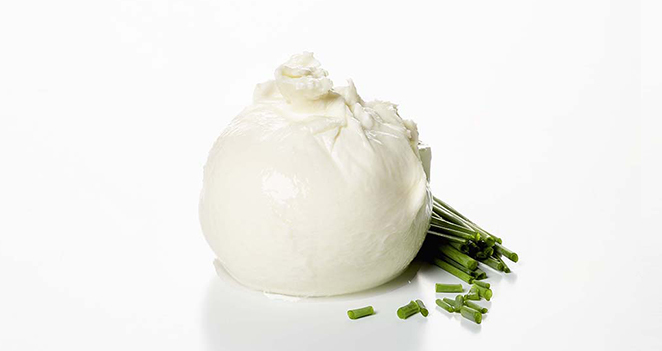 Mozzarella di Bufala Campana DOP is THE mozzarella in all of its original form. 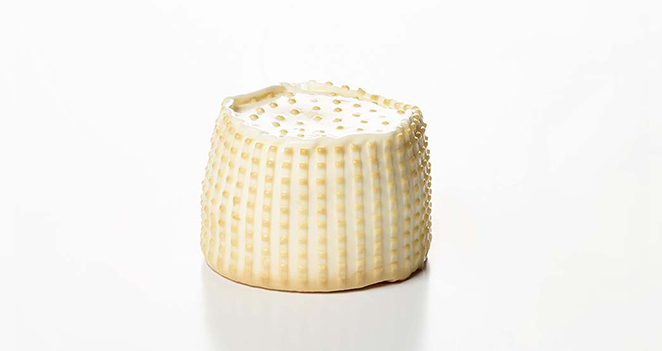 Exclusively elaborated with buffalo milk in protected areas, it is prepared respecting artisanal traditions. For lactose intolerant persons, it is now time to enjoy it again thanks to the benefits of this variety lactose-free, easier to digest! 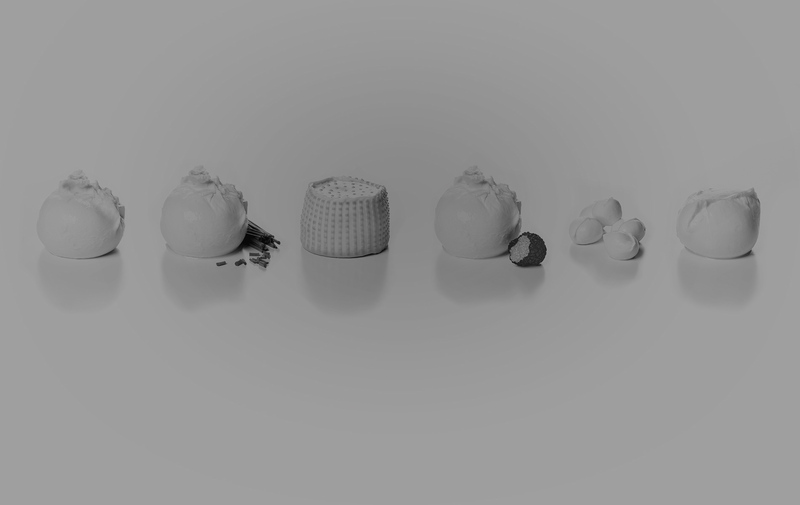 The 100g ball is the ideal size for an individual tasting. 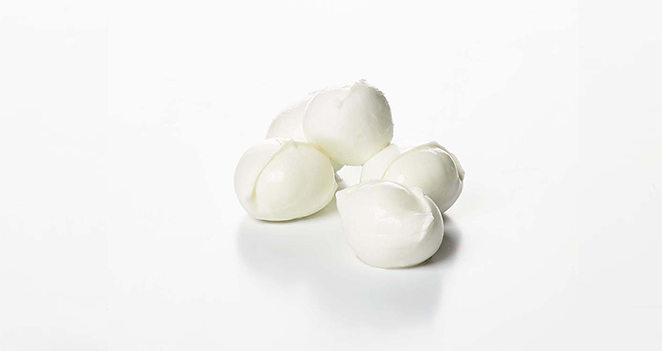 Mozzarella is more and more made in different formats. Small 10g balls are particularly adapted to salads and appetizers. Bocconcini (50g balls) particularity is to being served in very small portions (which fit in your mouth in one bite). It is a small, smooth and handmade ball. 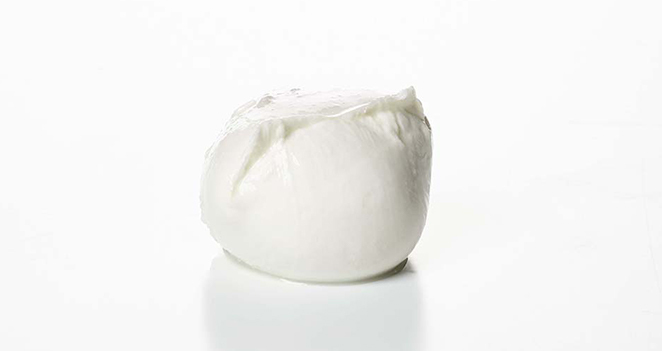 Considered as the treasure of Puglia, burrata is a true speciality with its melt-in-the-mouth texture. 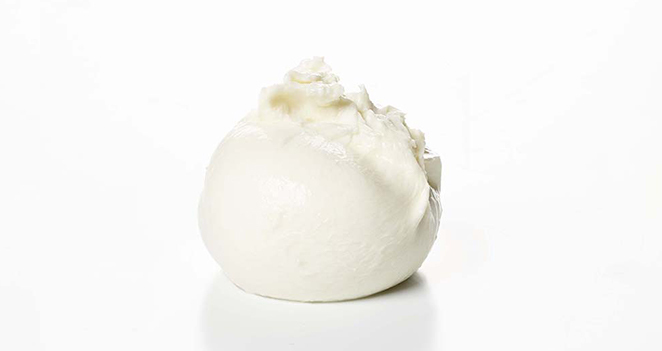 A mozzarella ball made of cow milk manually stuffed with a duo of cream and frayed mozzarella. By the way, this smooth filling is named stracciatella because pieces of mozzarella are “stracciati”, which means shredded. Smoke cooking technique with wood chips brings a full-bodied note to this exceptional product, while keeping at the same time the delicacy and the creamy scent of the fresh burrata. A unique flavor to discover by the fans of new things. 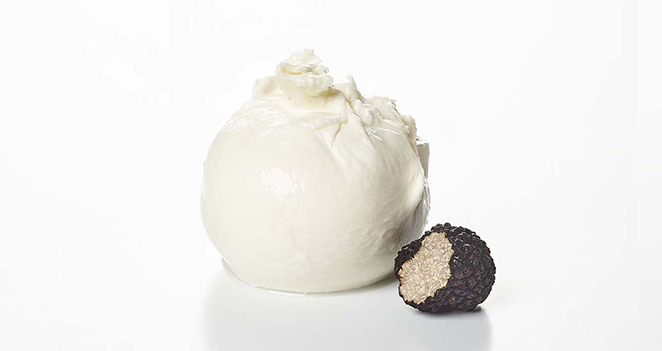 Top product from our range, this variation of classical burrata will surprise the true connoisseurs with its unique truffle taste. Chives mixed stuffing, bring freshness and lightness compared to the classical burrata. Another novelty in our range you don’t want to miss!